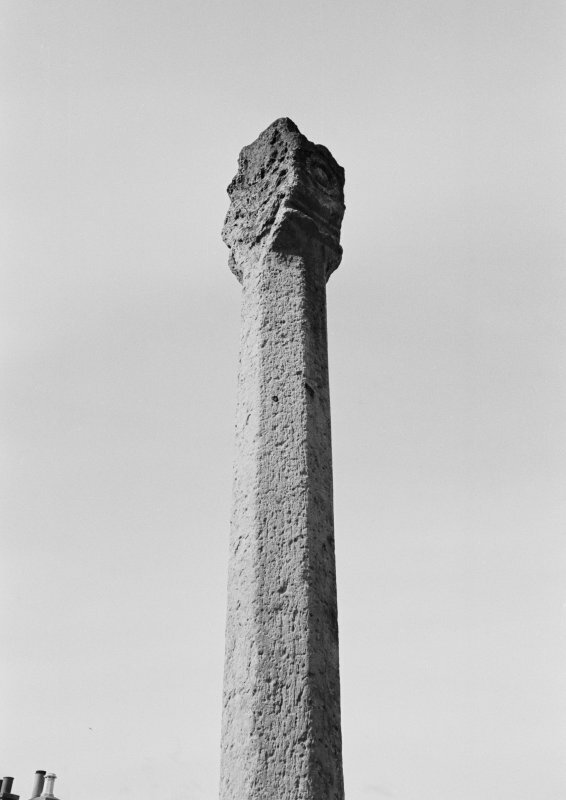 Detail of cross shaft, Cockburnspath Market Cross. 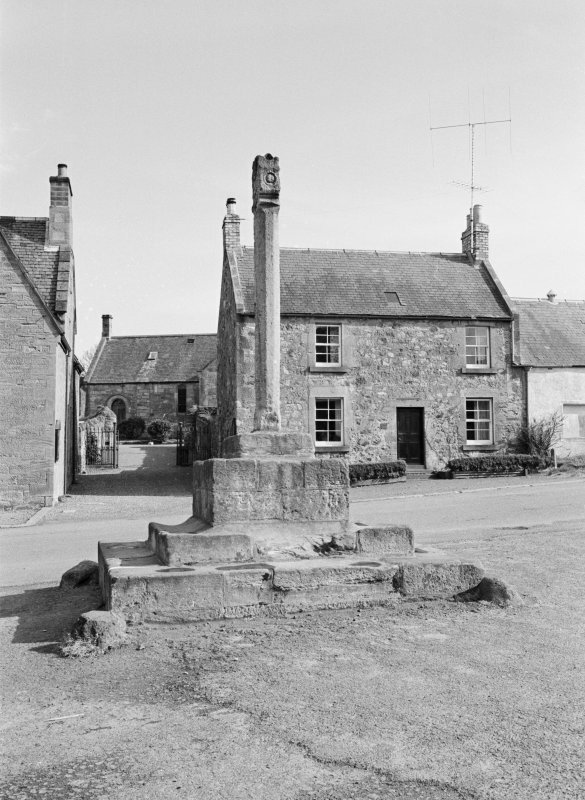 View of market cross, Cockburnspath. 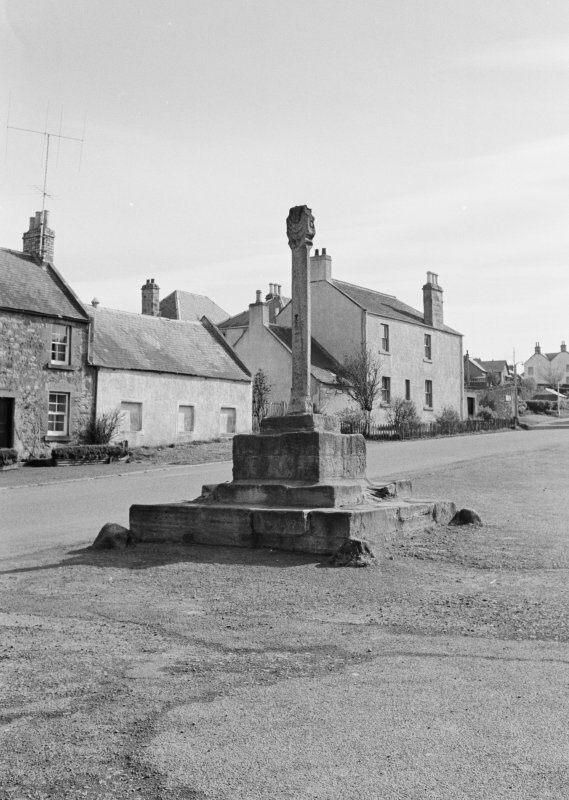 General view of Cockburnspath Market Cross. 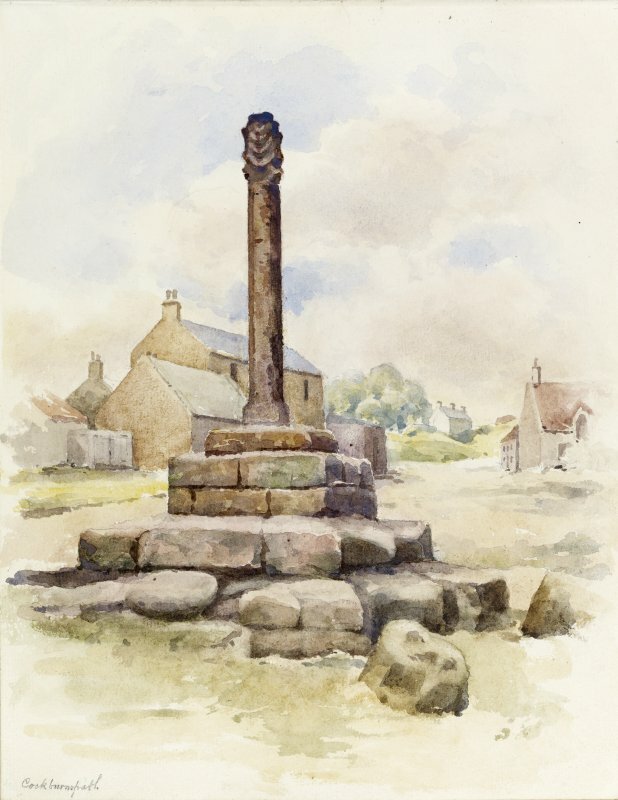 Drawing of Cockburnspath Market Cross. 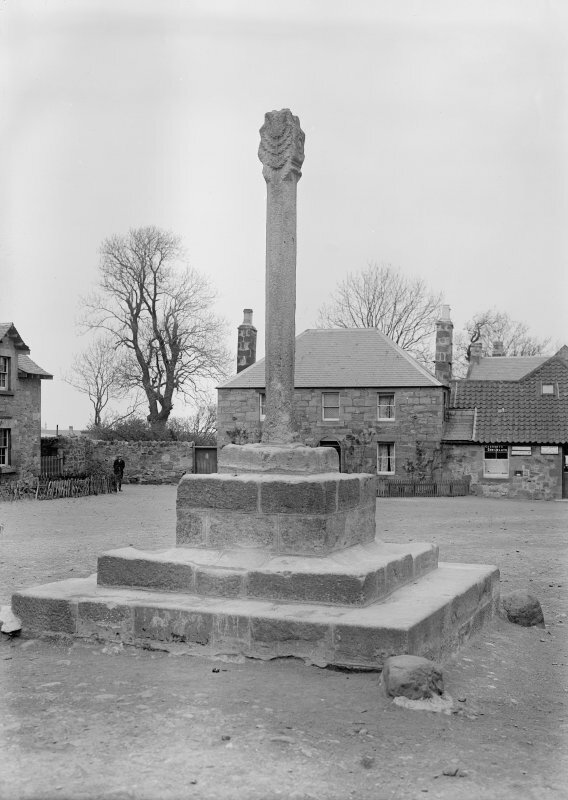 Cockburnspath Market Cross comprises a cross-shaft 10ft 4 ins high, standing on an irregularly stepped base of three tiers and a scoket stone 2ft 10 ins square and 10 ins high. The E and W faces of the cross-head have a thistle conventional design carved in relief on each side, while the other two faces are decorated with roses. 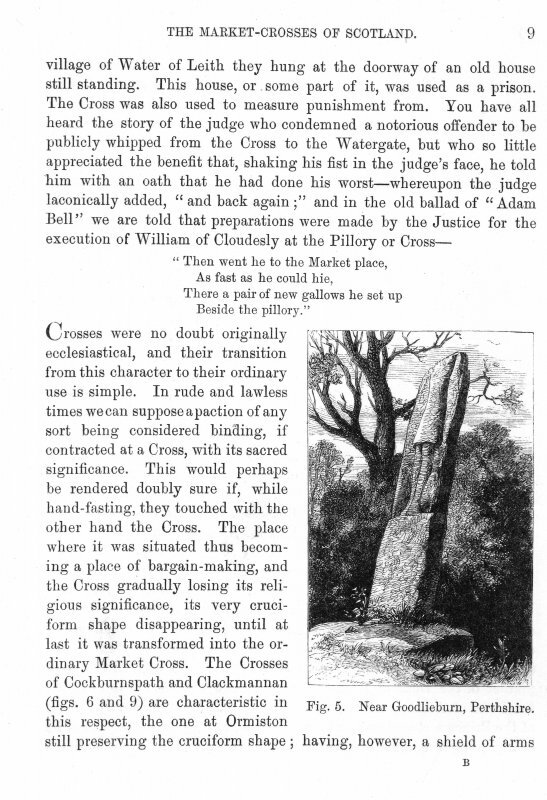 The cross was restored in 1908. 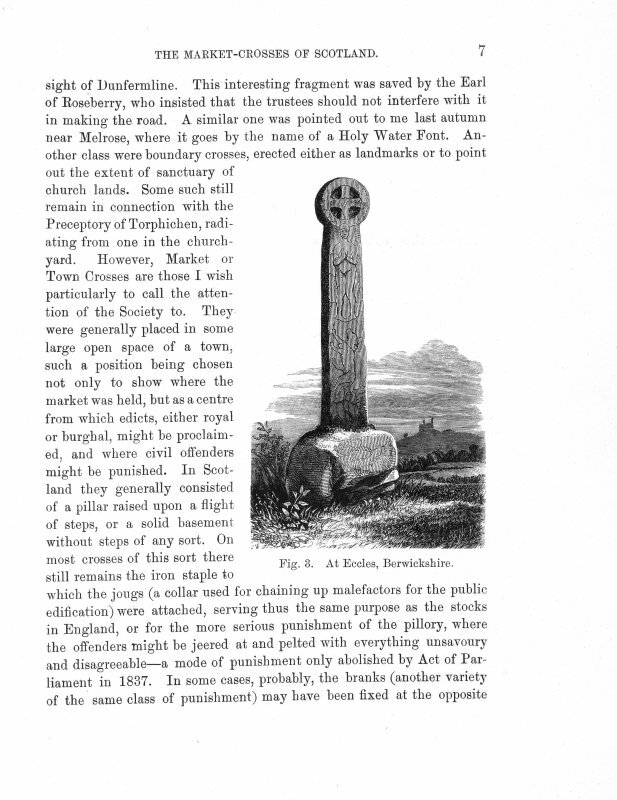 It is not earlier than 1503, the date when the emblems of the thistle and the rose, which appear on the cross, came into being together (J Hardy 1879). 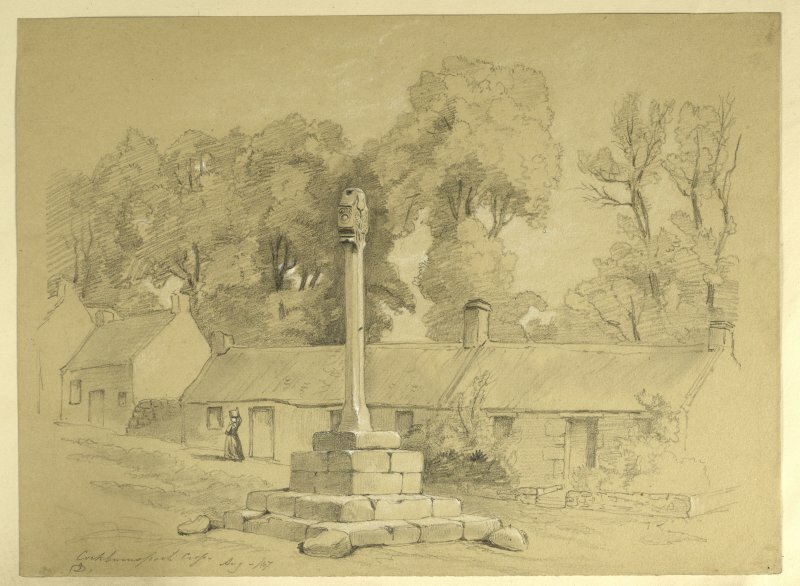 J Drummond 1863; J W Small 1900; RCAHMS 1915. 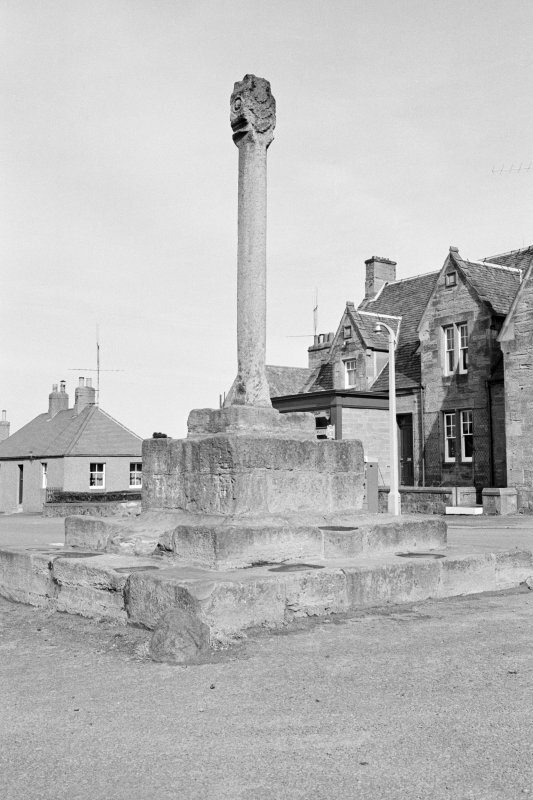 This market cross, standing in the centre of Cockburnspath village square, is as described by the previous authorities. The whole structure is well weathered. Visited by OS (JLD), 25 October 1954. No change to previous field report.